Ever thought of meditating while moving? Here is what Tai-Chi, one of the most sough after ancient Martial Arts brings to you…Tai Chi works on the inside of the body and helps to feel peaceful and focused. Spend Time together, Improve Health together, Celebrate together and achieve Balance Together. 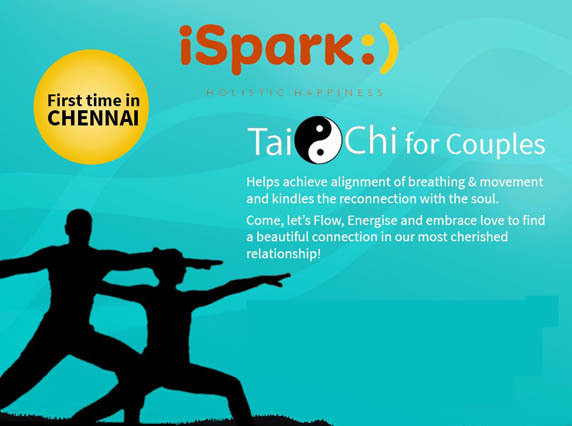 Tai Chi for Couples helps you align your Body, Mind and Soul to discover Holistic Happiness together.